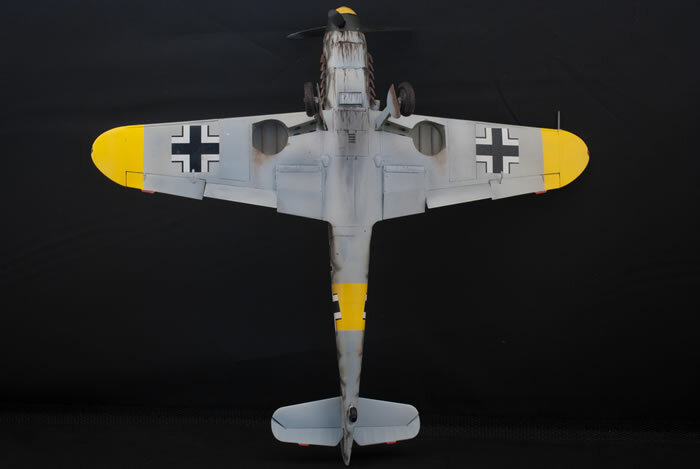 Here is my 1/48 scale Zvezda Messerschmitt Bf 109 F-2. 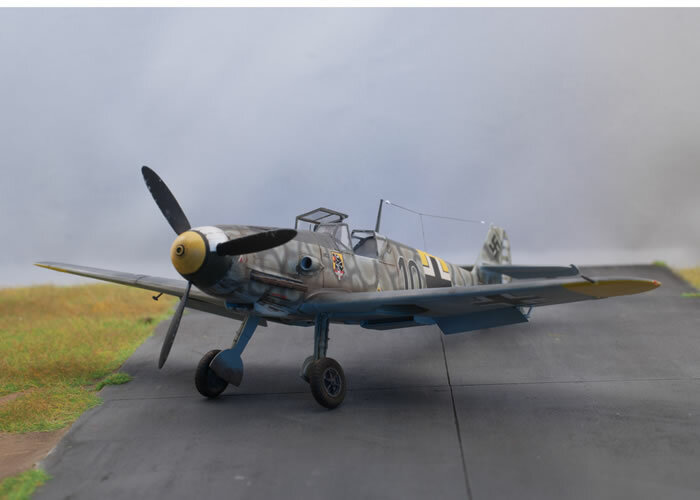 For this scale, details are amazing, in the cockpit, the wheel wells and the engine. 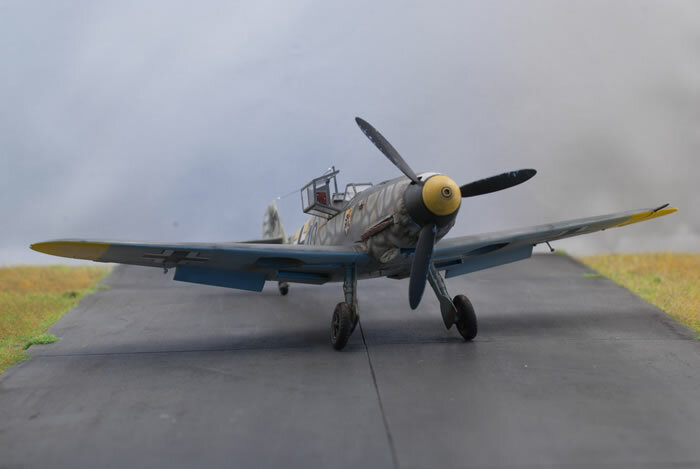 If you choose to present the model in closed up configuration it will be quite more difficult. In fact to do it properly you need to not install the engine. 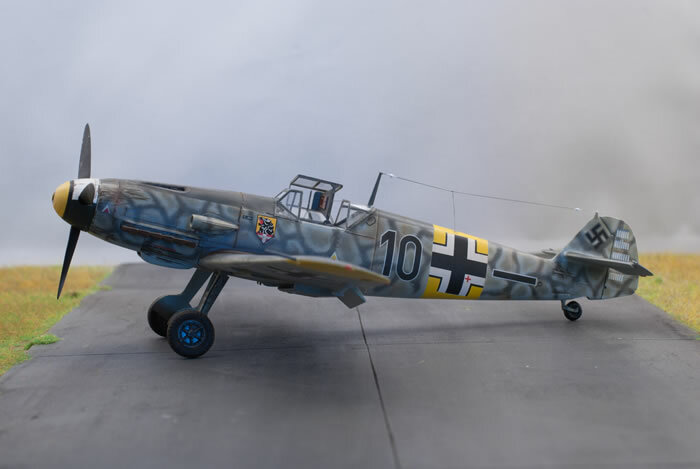 But if you choose this option you need to find a solution for the exhausts pipes wich are fit one by one on the engine (for me the solution was the purchase of exhaust pipes for the Hasegawa kit). 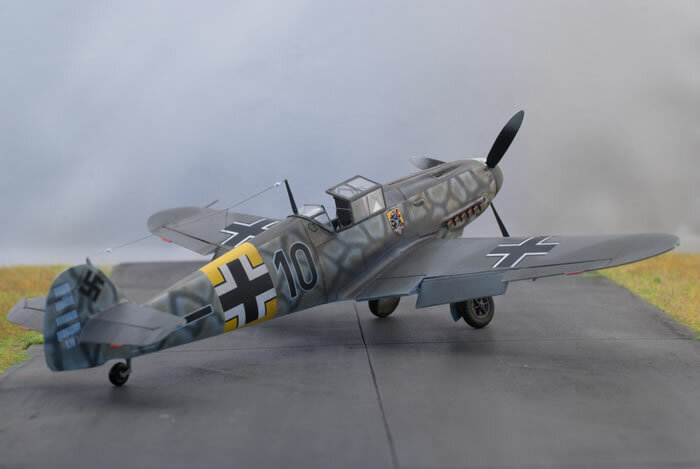 I choose to represent the aircraft flown by the Oblt.Hubert Mütherich of 5./jg54, in the eastern front in 1941. 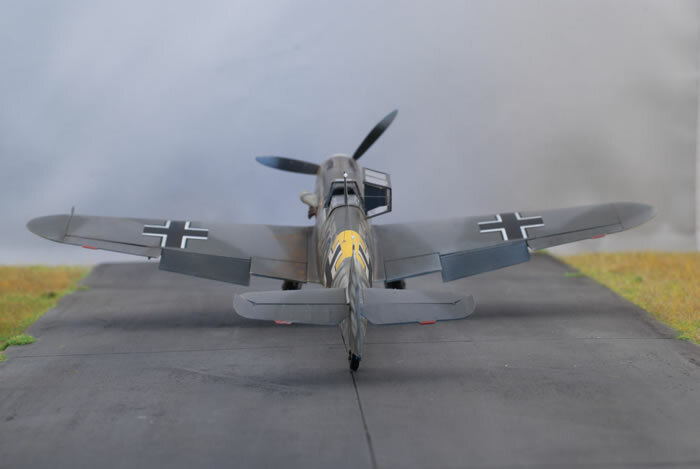 Few profiles are available for this aircraft with litlle differences. I based my work on the profile published by Claveworks Graphics. 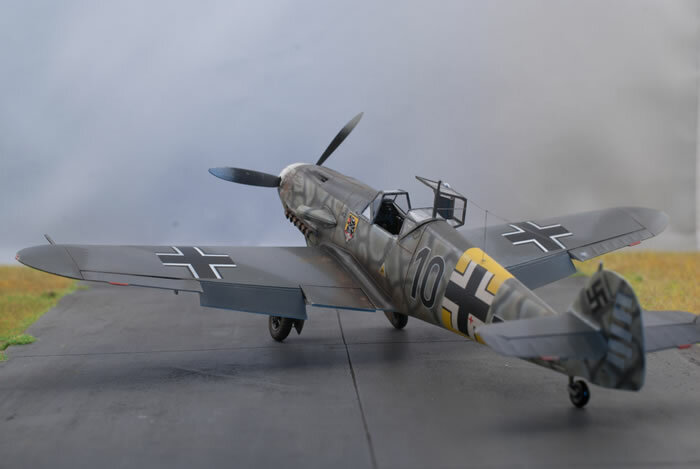 I used decals from Authentic Decals – Messerschmitt Bf-109F-2 Eastern front. The camouflage is a snake skin scheme. 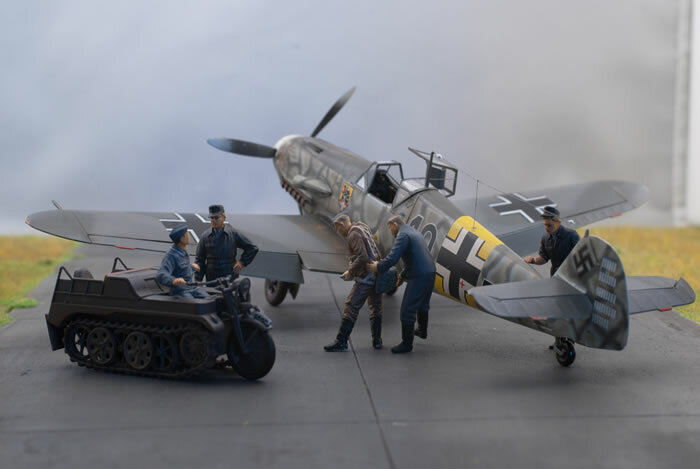 The figures are from ICM, the Kettenkraftdtrad by Tamiya.